Discussion in 'Arts and Photography' started by vasishta.sushant, Jun 13, 2012. On the lines of car audio, its a good idea to know what each one of us listens to at their home. Again as the drift goes, just share the equipment, what you like about the setup and what you miss in it. Source: Arcam rDAC(wireless version) hooked to my Sony Vaio YB series netbook with more than 200GB of music files. The rDAC is 24/96KHz capable DAC featuring Wolfson 8401 DACs in dual differential configuration. The USB handling mechanism is top notch with licensed technology from dCS (that's more like audi in the audio world). This version that I've is capable of streaming music wirelessly to the amplifier and adds to its versatility but for critical listening, I go wired. Whathifi has awarded this product 5 stars even after second re-assessment in 2011. Amplifier: Cambridge Audio 550A This is a two channel 60W (rated at 8ohms) amplifier with a THD of less than 0.002%. A no frills amplifier carrying the CA sound signature. Comes with Alps potentiometer known for excellent channel balance. Speakers: Mordaunt Short Aviano 2 Bookshelf speakers. This pair of speakers is my most priced possession. I tried so many other speakers but only these offered me the sound I was looking at. Laid back, vocal centric, warm sound signature. Come with 6.5 inch mid range drivers and 1 inch silk dome liquid cooled tweeters. The MS build quality is top notch and sound is decent enough for the money paid. 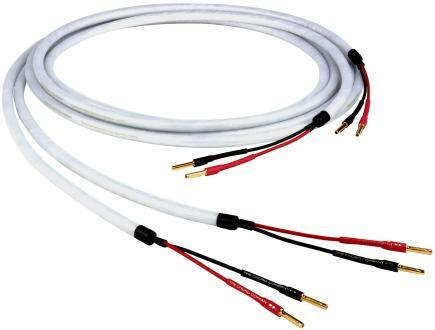 Speaker Wire: Chord Carnival Silverscreen These are super thick, double shielded speaker cables capable of carrying audio signal in the very best form, without picking any interference in its way. Just for cleaner sound. Unfortunately I've shifted to a new residence where the rooms aren't as big and these speakers have started feeling suffocated. Being a rear aspirated system, these demand huge open space to shine (which I can't afford at the moment). How about you guys ? Let us share. Vinny, Rockfella, X_ray and 3 others like this. Source: Arcam rDAC(wireless version) hooked to my Sony Vaio YB series netbook with more than 200GB of music files. What type of connection between rDAC and Vaio YB ?? I mostly use the wireless connection. There is a utility called rWave which looks more like a USB thumb drive which you need to hook to the netbook and rWave interacts wirelessly with the rDAC. Arcam claims that the mechanism they use for this wireless data transfer has no signal losses and the quality is as good as a wired connection. Not entirely true but this thing works really well. also waiting for RajaPraveen for his setup and also JD666 with his audio setup.. I think that rpm would be very interested in this too. Your music library is High Bitrate/Flac ?? Not entirely. I am more into golden age tracks and you seldom get loseless files for them. Still I do have a decent FLAC collection. Vinny and ManISinJpr like this. Vinny, Rockfella and ManISinJpr like this. Rockfella, X_ray, JD666 and 1 other person like this. RajaPraveen, bro details of your setup needed. And thats why I should have not ran with the big boys! pELLuRD, MrsJD666 and ManISinJpr like this. I paid odd 400 UK pounds for the rdac and rwave. Did cost me little more than 33K. Dude, nothing is small or big. Whatever you enjoy is what that matters. Just post it. That pretty covers up my personal AV i think, i might have left out stuff like my head phone amp and head phones, pardon me for that. RajaPraveen, OMFG !!! are you for real I would love to come to Chennai just to listen and see your stuff !! mystic_dreamer, bro.. you are going to have to have control or you will soon be spending more as this is a non ending itch !! and what is th eprice of your wireless thingy?? JD666, I am in awe too.. I have nothing.. except a small 2.1 setup. so don't worry.. you are way over us small boys ..
MOZ.. not smaller than me !! but do post.. I agree man. This is addictive. And I mentioned the price above bhai sahab. odd 33K. coolcatric, superb !! the only thing lacking is LCD or a plasma !! i know, its been almost an year that i wanted to buy a LED/Plasma. However, i guess now i will be able to get 1, thanks to Luciffer.